At Communication Legal Translation Establishment, we get quick sense of achievement on our flawless Linguistic services in Ras Al Khaimah for trustworthy, effective and startling linguistic, Grammar, Style and Spelling checks that duly include medical, humanitarian, official, financial, academic, personal, promotional legal and industrial statements, documents, plans, reports, etc. in the Arabic and English Languages for the magnificent endorsement of our clients of significant stature. 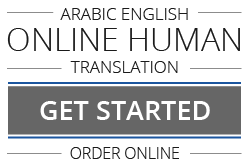 Possessing almost two decades of accepted adeptness, our delightfully capable specialists add the inspiring exactitude to our Arabic and English Linguistic services in UAE that we habitually practice.